I hope you had a relaxing Christmas break and did not have too much trouble getting back on the wintry Rock. It might just be my luck but my journey could have been smoother. I think the weather gods have something against me. First off, there was a snowstorm the day before I was supposed to fly out and then there was a snowstorm the day before I was supposed to get back from Germany. Of all the flights from Montreal only one actually made it to St. John’s. Obviously I was not on that one. No, my flight was canceled, then rescheduled, and then delayed three times. By the time I actually boarded the plane I was up for 26 hours. You know, we all complain about the weather here on our little rock in the Atlantic Ocean, but no one is willing to throw a virgin into a volcano to fix it. After I finally managed to get back to St. John’s I picked up a couple of documents I still needed and finally submitted all my PhD applications. Different universities have different application procedures and requirements but I will try to mention some general tips that might help those of you who think about applying to graduate school in the future. It’s a good idea to apply to more than one school. Of course it can be a financial issue to come up with the application fees for several applications. Lists are lifesavers. Lists will help you keep track of the different application fees and deadlines. Moreover, each university requires different supporting documents for the application. I found it really helpful to write down what I needed, including maximum word counts for different elements. Every time I had a new document ready to upload I checked it off the list and made sure that I saved it in the right format so I could upload it once I was ready to do so. Grad school application can feel really overwhelming and keeping a checklist and checking things off as you go will give you a sense of accomplishment. It will make the whole thing seem less daunting. Then you just have to double check that you saved every document in the right format and then you are good to go. Then all you have to do is submit everything. And then the wait begins. If you recently submitted an application I wish you the best of luck. Until next time! 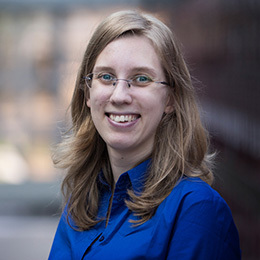 Marina Schmidt is from Sonthofen, Bavaria (Germany) and is completing a Master of Arts in Classics.